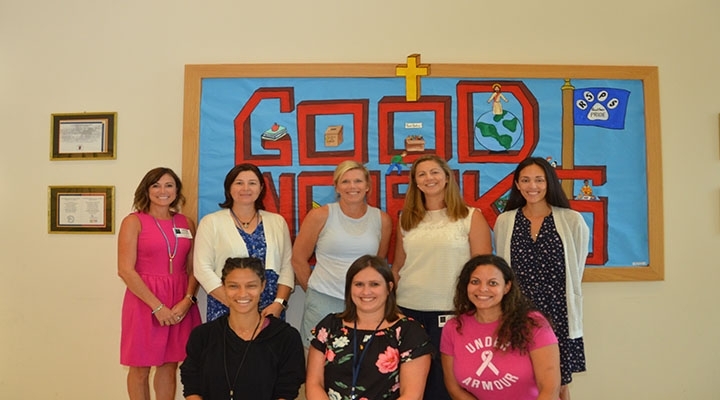 The Home and School Association (HSA) is a parent run organization established to promote a clear understanding of the mutual educational responsibilities of parents and teachers, transmit information between home, school, and the parish, and provide supplemental support to the school. The HSA respects and supports established school policies and procedures set forth by the School Board of Directors. Who are the members of the HSA? All parents and guardians of a child currently enrolled at RSPS are HSA members. The HSA Executive Board is made up of the following elected positions: President, Vice President, Room Parent Coordinators, Recording Secretary, Corresponding Secretary, Treasurer, and Faculty Liaison. Details of these positions can be found in the bylaws. The HSA Board meets once a month. All HSA members (parents of enrolled students) are encouraged to attend the meetings. To be qualified to sit on the HSA Board, you must have a child at the school and a working knowledge of your desired position. If you are interested in learning more about how to get involved with the HSA or for volunteer opportunities, please contact the HSA president at hsa@resstpaul.org.